Designed with the creative professional in mind, Ridge is a portfolio theme that puts your work front and center. Whether you are displaying images, video, or even audio, this theme will make your work stand out from the crowd. 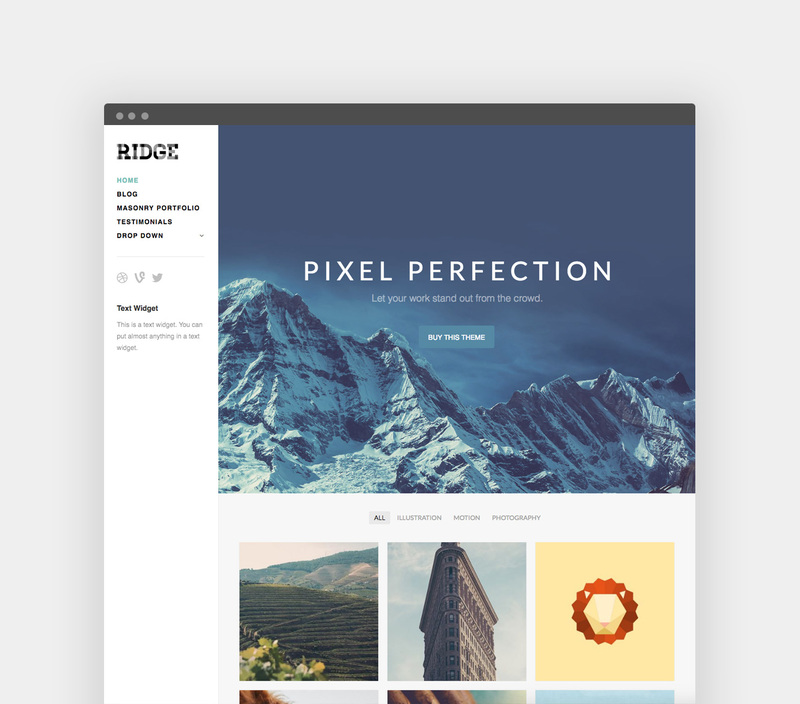 Start building your website with Ridge.